For one day on 3rd November, Monocircus will be a part of booth no. 170 at the Lohas Festa in Osaka. The event has been one of the most popular market events in Osaka, and is held at the Expo’70 Commemorative Park (the site for Japan World Exposition in 1970) in Osaka. This upcoming market event will host more than 500 booths of interesting accessories, knick knacks, antiques and also delicious foods. 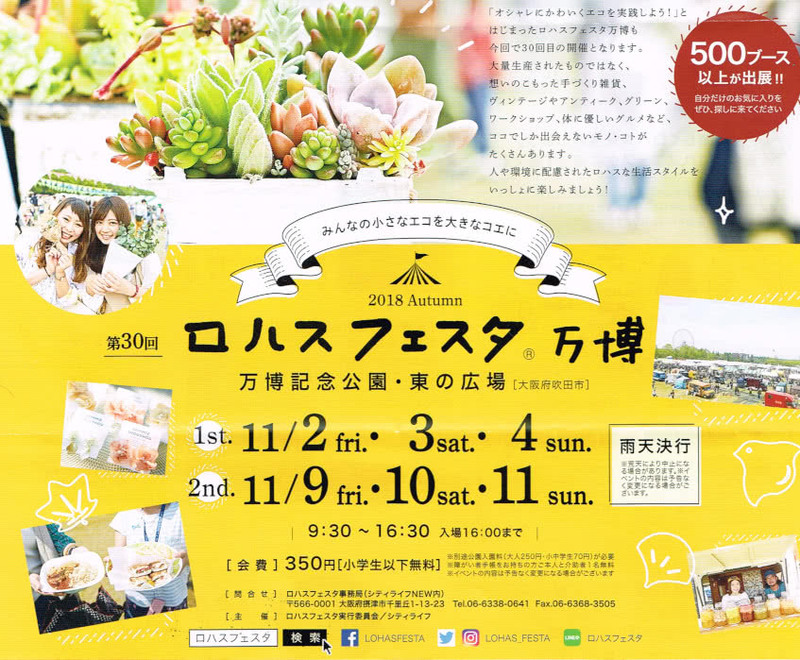 The Lohas Festa hopes to promote environmental awareness, so visitors are encouraged to bring along their own shopping bags, cups and plates and cutlery so as to reduce plastic wastes. We hope you will join us for a really fun day at the Lohas Festa!